Enjoy solar observing with AAAP at the Carrie Furnaces Steel to Sustainable Festival on Saturday, 7 PM, April 23, 2016. See Rivers of Steel for ticket prices. The Carrie Furnaces (40.4130° N, 79.8907° W) Steel to Sustainable Festival includes a 100th year anniversary of the hard hat art show, three bands and many food trucks. It is a ticketed event and supports the Carrie Furnace National Monument, part of the National Parks Service. AAAP members will offer safe solar viewing through solar filtered telescopes. AAAP members volunteer need to register prior to the event in order to get their gate pass. Those AAAP members who have not yet indicated their intention, may request a volunteer gate pass to through comments on the website by Friday. The Carrie Furnaces 6 and 7 are extremely rare examples of pre-WW II ironmaking. They tower 92 feet high and have brick lined walls of 2.5″ thick steel plate. From 1907 to 1978 they provided iron for the Homestead Mill and will become one of the focal points of the proposed Homestead Works National Park. 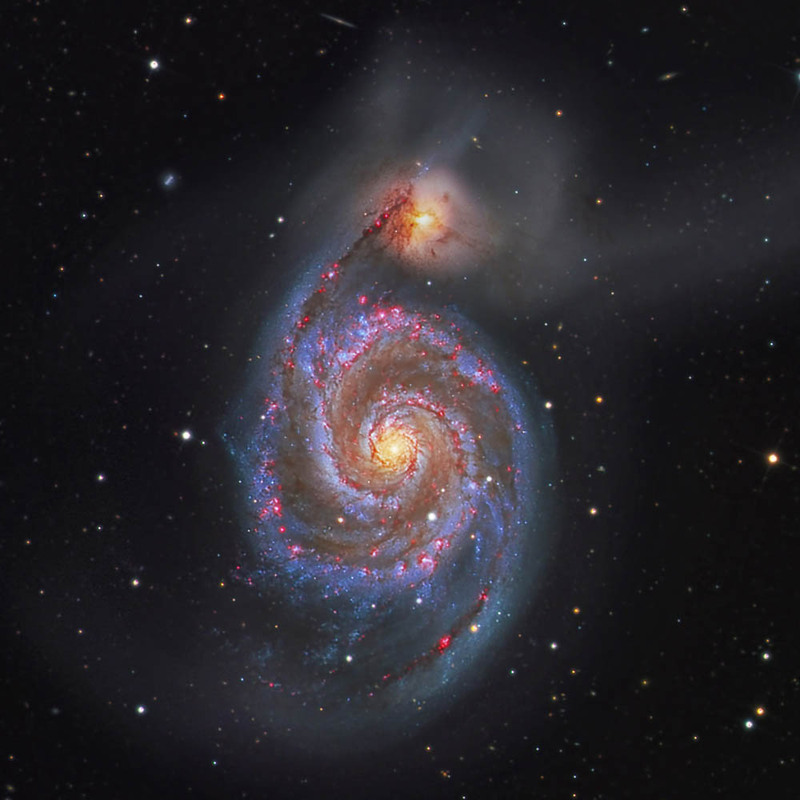 This event is an opportunity for not only astronomy outreach to our guests but also an opportunity for AAAP members to see a part of local history and to support an event which in turn supports a National Monument. Our National Parks celebrate 100 years this year. For more information please check back and follow us on Facebook, via the button below. The above image is the sort of view one will see through the member telescopes. 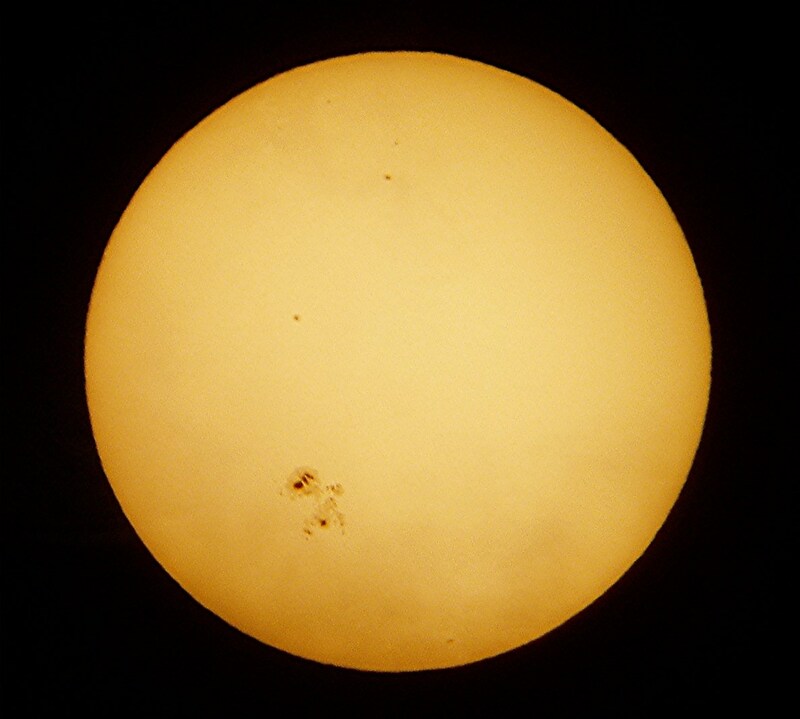 AAAP member Dan, above caught an unusually large sunspot. Join in the family fun at Mt. Lebanon Earth Day and get hands-on experience looking through safe solar filtered telescopes. Warning: Never look directly at the Sun with or without a telescope. Permanent eye damage can result. Only safe specialized solar observing filters can shield the invisible damaging rays. 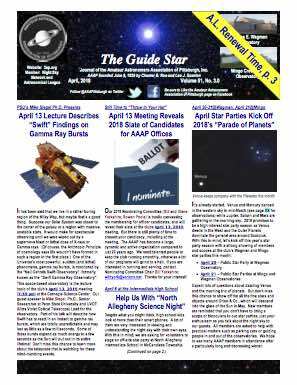 AAAP solar observing outreach will be featured again this year at the 2016 Mt. Lebanon Earth Day Celebration, 10 AM to 2 PM on Saturday, April 23, 2016 in Uptown Mt. Lebanon. AAAP is thrilled to return with an all new crew to this annual event sponsored by the Mt. Lebanon Environmental Team. Click here for a list of sponsors and non-profits including AAAP participating in this fun event. Terry Mealy is leading the AAAP delegation to Mt. Lebanon Earth Day. If you are an AAAP member and would like more information on how you can still volunteer at this event send an email or leave a comment on this website. Please finalize your arrangements at least 24 hours prior to the event. The event is free and open to the public. 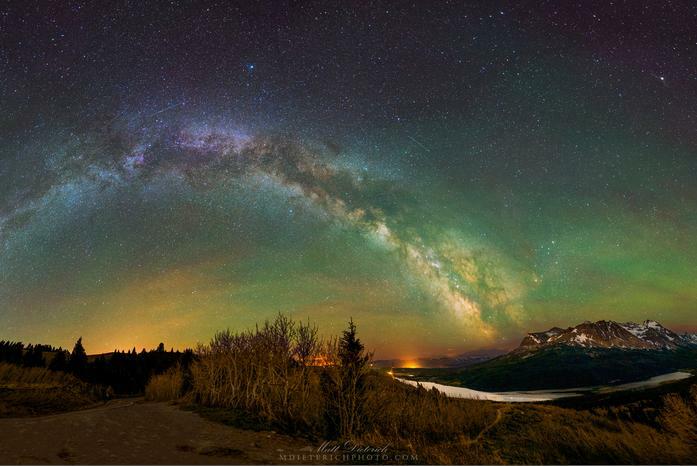 Astrophotgraphy and Possible Night Sky Viewing at David L. Lawrence Convention Center on Friday, April 22, 2016, 5PM – 9PM. 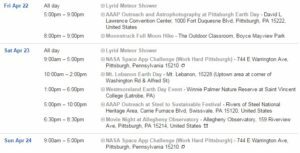 Astrophotography of award-winning AAAP astrophotogrphers Bill Snyder and Matt Dieterich will be shown at the Art and Arifact Market, 5-9 PM, West Wing Lobby of the David L. Lawrence Convention Center as part of the 2nd Annual 2016 Pittsburgh Earth Day. The Art and Artifact Market celebration in the Lobby is free and open to the public and includes an evening of music, a curated art exhibit featuring local artists, organic and handmade vendors and activities for all ages. Enjoy the sounds and grooves from the DJ Detour crew during the event! https://3ap.org/wp-content/uploads/2018/08/logo_web_2018-300x300.jpg 0 0 DeSantisK https://3ap.org/wp-content/uploads/2018/08/logo_web_2018-300x300.jpg DeSantisK2016-04-20 14:53:082016-06-08 13:23:45Astrophotgraphy and Possible Night Sky Viewing at David L. Lawrence Convention Center on Friday, April 22, 2016, 5PM - 9PM. 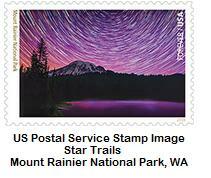 US Postal Service Star Trails at Mt. Rainier Stamp image released today features AAAPer Matt Dieterich’s stunning Astrophotograph of star trails over Mt. Rainier.